Leapin’ Lizards! With equal measures of pluck and positivity, little orphan Annie charms everyone’s hearts despite a next-to-nothing start in 1930s New York City. She is determined to find the parents who abandoned her years ago on the doorstep of a New York City Orphanage that is run by the cruel, embittered Miss Hannigan. 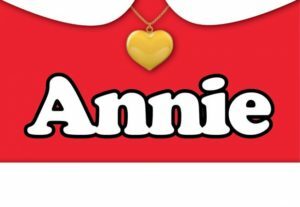 In adventure after fun-filled adventure, Annie foils Miss Hannigan’s evil machinations… and even befriends President Franklin Delano Roosevelt! She finds a new home and family in billionaire, Oliver Warbucks, his personal secretary, Grace Farrell, and a lovable mutt named Sandy.